British media personality Katie Hopkins has announced that she plans to move to Alabama with her children should controversial Republican candidate Roy Moore succeed in his bid for a Senate seat. A source has reported that Hopkins sees the move as an attempt to relaunch her career in an environment more appreciative of her talents. She is also said to believe that Alabama represents a healthier environment in which to raise her children, given the state’s preponderance of people who despise outsiders, its excellent potential for school shootings, its vulnerability to climate disasters such as floods, hurricanes and droughts and the fact that most of its heavily-armed and undereducated population apparently endorses sexual abuse of children. Hopkins recently spoke out about her own experiences of teenage sexual abuse in an attempt to encourage victims of such treatment to remain silent and to provide emotional support to any adults newly contemplating sexual assault of minors. Hopkin’s fortunes in the UK have taken a downturn of late. She was sacked from her radio show at LBC because of falling listenership and for having called for a ‘Final Solution’, and was subsequently fired from her Daily Mail column for costing the newspaper hundreds of thousands of pounds in libel fees and also for being insufficiently entertaining. Her book of memoirs, ‘I, Hatey Katie’, sold only eight copies, and plans for her to go door-to-door shouting abuse at people in order to promote it had to be shelved for logistical reasons. A faeces-themed cookbook of recipes aimed at raising money for organisations fighting the homeless failed to find a publisher, and an offer to host a racist beauty pageant was revealed to have been an internet prank, as were rumours that she was to replace Angelina Jolie as Special Envoy to the UN High Comissioner for Refugees. Hopkins is also said to be disheartened that in recent weeks her prized position of pantomime harridan cartoon racist attention-dependent national hate figure appears to have been stolen by Jayda Fransen. Hopkins is said to believe that relocating to the States will raise her standing in the Fox News ranking of probably-mentally-ill-people-who-can-be-guaranteed-to-come-on-TV-at-a-moment’s-notice-and-say-something-outrageous-about-black-people-or-climate-change-or whatever-just-to-get-attention, where she currently sits in 13,373rd position. She believes that she will quickly be welcomed into the supportive community of figures such as Tomi Lahren, Ann Coulter, Lauren Southern, all of whom similarly have built their careers by spitting in the face of female solidarity. Should her media ambitions not meet with success, Hopkins plans include dumping her kids in a motel and running through Washington screaming for people to notice her, before being transported to a secure psychiatric institution where she hopes to reinvent herself as that-one-who-just-stays-in-her-room-making-screeching-noises-all-the-damn-time. 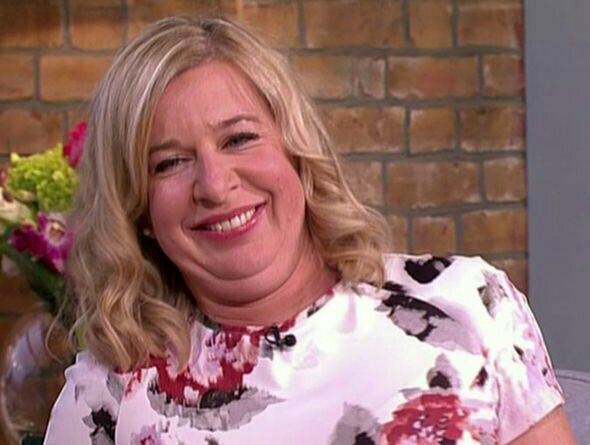 Katie Hopkins is 64 years old. P.S. Fake news? Indeed it is, but then so was this and this. She’d promise to auction off her kids if she thought it’d get her onto GMTV. I suspect they’d be secretly delighted. Who cares what she thinks. I doubt many will miss her if she does carry out her threat. Good riddance to her.